Never tried the fermented soybean? Pinch your nose, take a bite and…fall in love! New York is home to almost 45,000 places to eat and drink, according to an estimate from the National Restaurant Association. But life is short, so as a newcomer to the city more than a decade ago, I decided to start with the best of the best. I trekked to Brooklyn to have pizza at Di Fara. (Worth it.) I squeezed in a mad dash to Corner Bistro during a lunch break to try its famous burger. (Simple yet unfathomably juicy and delicious.) I feasted on pastrami piled high at Katz’s Delicatessen and slurped down oysters at the Grand Central Oyster Bar. My friends and I dined on endless dim sum at the palatial Jing Fong and negotiated our way through massive hunks of perfectly aged meat at Keens Steakhouse. I sampled the ethereal cheesecake at Junior’s. I don’t like hot dogs, but I traveled to Coney Island with my pals and watched them gobble down Nathan’s Famous while standing on the boardwalk. When food is that good, you can get a contact high. At some point, though, I started to grow tired of the madding crowds, and I realized that two hours was too long to stand on line for brunch. In other words, I’d become a New Yorker, and I was too busy to wait for anything. When this happened to me, I didn’t stop eating—instead, I turned my attention from the absolute best restaurants to the absolute best specialty stores where I could still enjoy the best, but on my own terms. My weekends were spent browsing the hundreds of different spices at Kalustyan’s. I would travel across Manhattan to try to decide whether I liked the lox better at Russ & Daughters or Zabar’s. (I still can’t decide.) 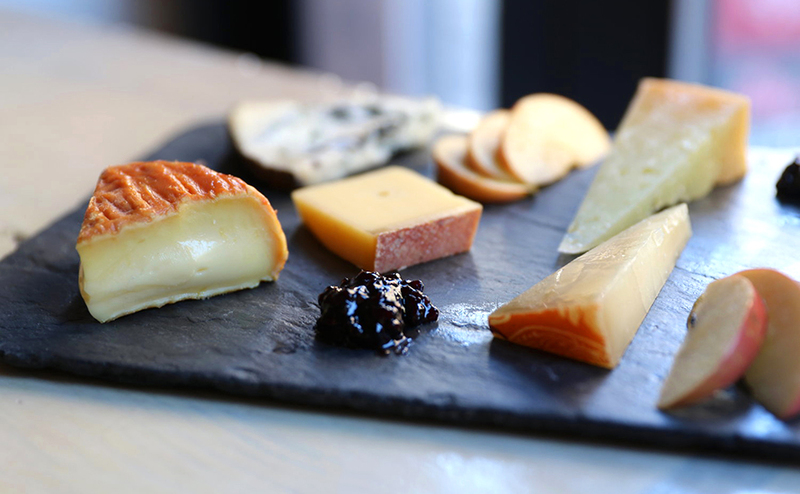 It wouldn’t be unusual to have found me at Murray’s Cheese on Bleecker Street ogling the giant refrigerated wheels of cheese and purchasing hunks of divine Gouda and Manchego. When an artisanal mayonnaise shop opened half a block from my house in Brooklyn, I tried all the flavors, including the bacon-infused version. We’re a city of overachievers and we want—deserve!—the absolute pinnacle of provisions. There is something quintessentially New York about all of these gustatory endeavors. It’s not simply good enough to be good. You have to specialize and hone your craft. You have to be the best. If you make it—and make it the very best—they will come. The writer, filmmaker, and New York obsessive par excellence Nora Ephron once wrote, “I look out the window and I see the lights and the skyline and the people on the street rushing around looking for action, love, and the world’s greatest chocolate chip cookie, and my heart does a little dance.” We’re a city of overachievers and we want—deserve!—the absolute pinnacle of provisions. Case in point: Last year I developed a hankering for natto, a form of fermented soybean popular in Japan. The soybeans develop a stringy texture much like still-warm marshmallowy Rice Krispies Treats. However, rather than smelling like buttery marshmallows, natto smells like…well…there is some debate about whether it smells like stinky feet. But I love the pungent aroma of natto. To me, it’s more reminiscent of a fine cheese than anything else. The problem is that most of the natto here is shipped from overseas, often in once-frozen Styrofoam packs, losing some flavor. Like any obsessed person, I turned to Google and discovered that New York–made natto had been fermenting right under my nose at the Park Slope Food Coop, a members-only grocery cooperative where members (myself included) work about three hours a month for the privilege of shopping. There, in the Coop’s refrigerated section, right beside the eggs and tofu, were jars of small-batch, award-winning non-GMO natto, made just a few miles away in Williamsburg. 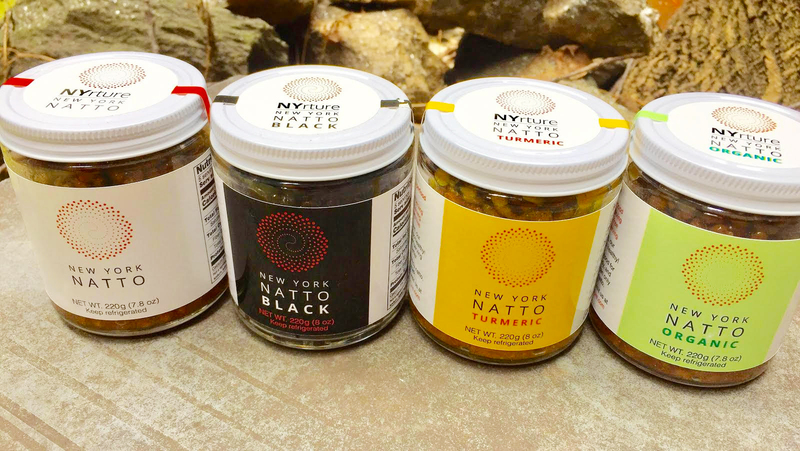 Lovingly crafted by Ann Yonetani, one of the first few people in the United States to produce natto from scratch, it’s sold under the name NYrture. Yonetani first came to appreciate natto during childhood visits to Japan. Like any self-respecting New Yorker, she is also an overachiever, holding a doctorate in microbiology, with laboratory experience at the same institution that the geneticist Barbara McClintock worked, the first woman to be a solo winner of a Nobel Prize in physiology or medicine. NYrture comes in four varieties, so I never get bored: There’s a mild but richly flavorful natto made from black soybeans (Yonetani calls this the “gateway natto” on her website); a second is made with black pepper and turmeric; and along with these two Yonetani makes a standard natto with non-GMO soybeans and a certified organic version. When I am not enjoying Yonetani’s natto, I’m often ogling it on her Instagram feed: Natto on nachos! Natto on deviled eggs! And, of course: natto on pizza! When I am not enjoying Yonetani’s natto, I’m often ogling it on her Instagram feed (@nyrture): Natto on nachos! Natto on deviled eggs! And—of course, because this is New York—natto on pizza! The Japanese often eat natto for breakfast, served over rice with other fixings, so I’ve taken to having natto in the morning, too. If you’re not a member of the Park Slope Food Coop (and who can blame you with the time demands of that place), $10 jars of NYrture can be found across the city, including at Osakana, the gorgeous Japanese fish market at 290 Graham Avenue in Williamsburg. Every time I open a jar and that deliciously pungent odor hits me, I think how this city nurtures such incredible food talent, even at the smallest scale. Artisanal, non-GMO, turmeric-spiced Japanese natto as ripe as the day it was jarred? Only in New York. Roxanne Khamsi is a writer based in Brooklyn, NY. Her articles have appeared in Scientific American, Slate and The New York Times Magazine. She tweets at @rkhamsi. We are also obsessed with many nonstinky things in New York.